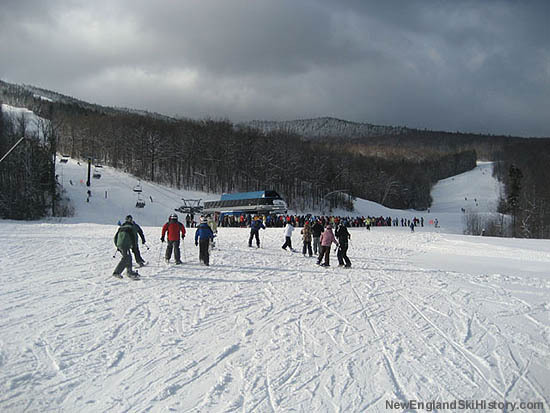 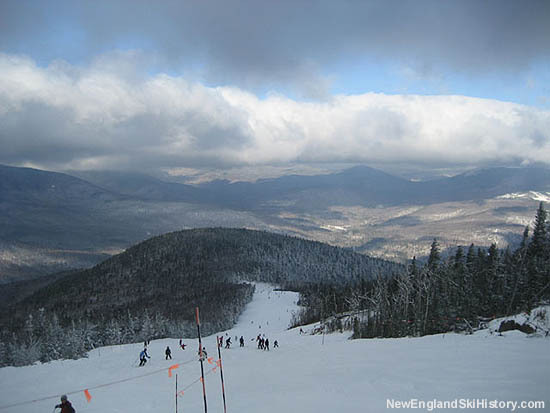 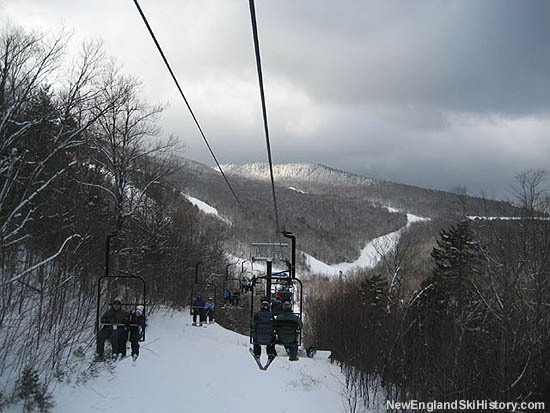 Expanding to its furthest point north, Sunday River opened the Jordan Bowl in 1994. 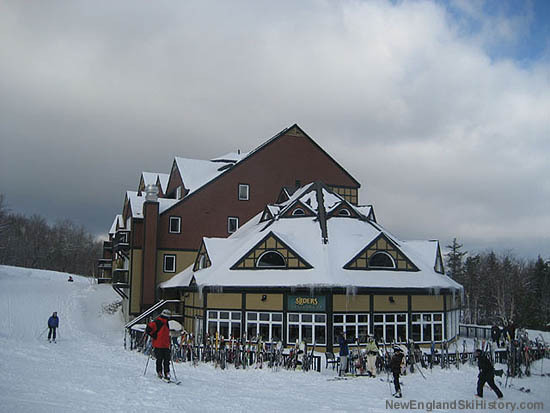 While also bringing more terrain to the popular ski area, the new complex was also geared toward real estate, with a grand hotel and village planned. 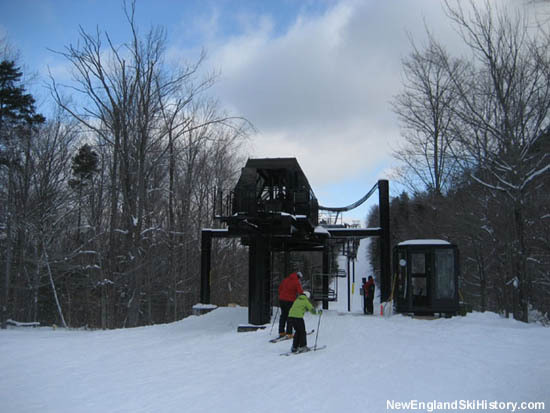 The base of the new area was connected to the Aurora base area via a two-way 1,735 foot long Garaventa CTEC-Hall double chairlift. 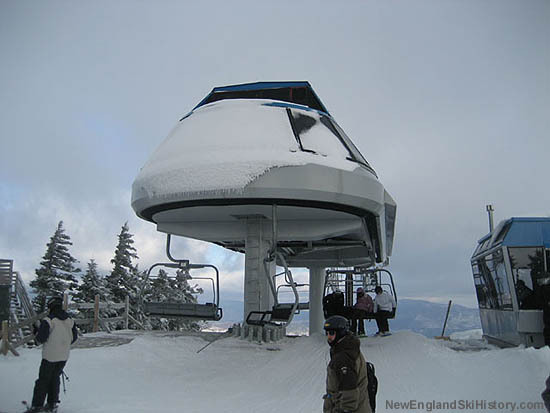 Running to the top of the peak was a new 4,715 foot long Doppelmayr detachable quad chairlift, which climbed 1,341 vertical feet. 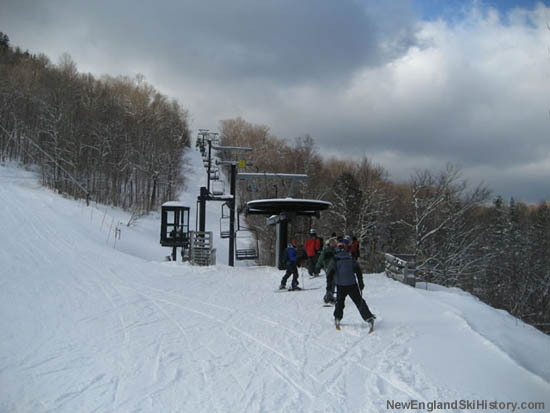 Isolated trails of novice, intermediate, and double diamond levels were cut from the top of the new peak. 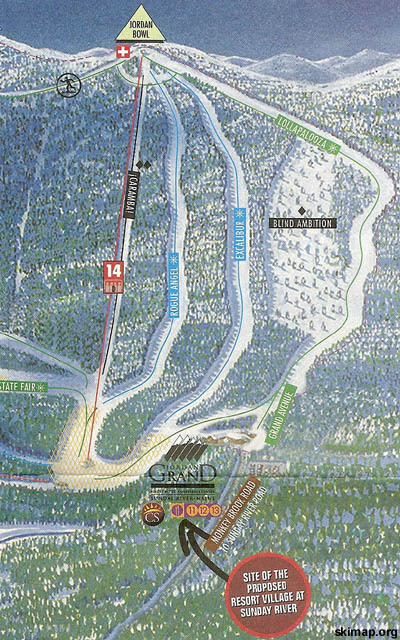 In 1997, the The Jordan Grand Resort Hotel and Conference Center opened.